In the past year 2018, Facebook’s algorithm has made it difficult for brands to increase Facebook posts exposure. Facebook CEO Mark Zuckerberg said that Facebook would be changing its news feed algorithm to prioritize content from friends, family, and groups. The new changes will inevitably diminish posts from brands, marketers, and businesses. Just because of the new Facebook algorithm every brand has to spend more time on generating organic traffic to get more exposure. To get more Facebook likes use pictures regularly as a part of your content strategy. As always heard a picture speaks louder than words, one can increase Facebook likes by regularly uploading images on their Facebook page. Due to a shortage of time images attract the audience more easily. Example- Try to post stories not just pictures. Upload such an image that is relatable and specific. Always upload images that are interesting, funny, and that teach a lesson. Videos lead to higher engagement on Facebook than any other type of content. To get more Facebook page likes to upload videos with exciting content. Many brands often use Facebook’s Boomerang application to create impressive videos. Whatever video content you post it must catch audience attention within 4 seconds. Example- See how Red bull as the world’s leading energy drink brand always post videos that are energetic and unique. They shared their video content that revolves around adventurous sports and highlights the brand image. To increase Facebook post exposure engage in active Facebook discussion. Try to respond to every comment and question ASAP. Facebook pages are an excellent platform for initiating conversation, and healthy discussion often leads to loyalty and trust. For instance, always engage in discussion in which the audience is interested. You must go with the flow for best results. That means your content must be in favor of what audience want to listen. Always make sure that your Facebook page has an appeal to attract your customer base. Hire a professional team for branding and updating content regularly. The first appearance of your Facebook page plays a significant role to get more Facebook page likes. Facebook pages with attractive appearance often become the voice of their brand. To get more Facebook likes brands must concentrate on their niche market. Facebook live videos go more viral than regular videos because one gets instant notifications as you go live. Brands can even launch their new products through Facebook live. Select a particular day and time from a week like every Tuesday or any other day to interact with your audience through Facebook live. You can get more engagement through this. Facebook free Giveaways is the most effective strategy to get more Facebook page likes. Free giveaways lure a considerable audience. You can get maximum Facebook likes by inviting the audience to like your page and win exciting prizes. This is off of the easiest way to excite an audience about your brand. For example, if you can invite the audience to like your page and post their favorite quote on it and you can offer something free to the person with the best quote. Instead of targeting a vast audience base target narrow audience. We all want to get Facebook post likes because we want to sell our products. So brands must aim at targeting audience within their demographic area. For instance, there is no point in targeting an audience outside your state if your delivery services are available within the state only. Always post viral content on your Facebook page to increase Facebook post exposure. People often like to see viral content in their news feed. Try to post viral content promptly. This can create excitement among your audience to visit your page regularly. For example, you can ask something or share some inspirational and exciting stories depending on the type of page you own. Suppose you are a motivational speaker, you can share inspiring quotes and also the story of some celebrity that can help others build confidence. This is the most potent trick people often ignore. To create the highest engagement, post when most people are active. According to various studies, the best time to post on Facebook is 12 pm and 3 pm on weekdays. Posting on perfect timings can get your Facebook page maximum likes. 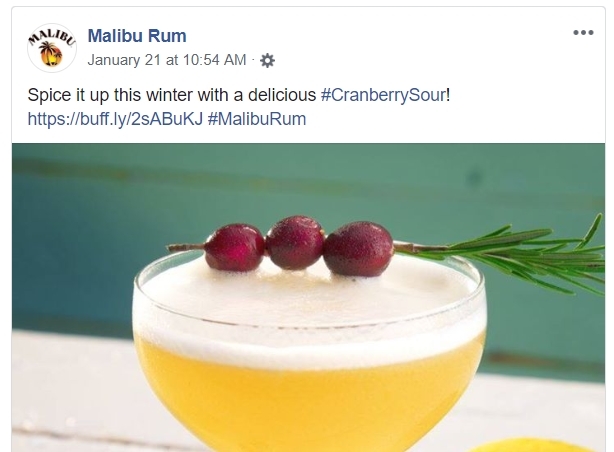 For knowing the perfect time to post, you can take help of Facebook Insights, that will help you determine which of your posts got the highest engagement at a specific time. Try to engage your target audience through Facebook groups. People often show more interest in brands with whom they are connected through groups. You can also join some active groups (within your niche) having hundreds of members. By joining the Facebook groups, you will have the opportunity to share your content with a vast audience. This makes possible that the people will visit your page and help to get you more Facebook likes. No doubt the Facebook’s new algorithm has made many changes and made it difficult for brands to get Facebook likes. However, by following the right ways you still can generate organic likes and bring traffic to your business easily. © 2019, Social Media Consultant. All rights reserved.